Time sensitive information on public tours at KSC on April 21, and the location of the SSEP Community Network Meeting on April 20, are now available at the Launch Plans for STS-134 page at the main SSEP website. The meeting will be web-streamed live for classes back in the SSEP communities. NCESSE has been working with the Smithsonian’s National Air and Space Museum (NASM) to explore whether the SSEP National Conference for SSEP on STS-134 could be held at the Museum in late June or early July. The conference would be a venue where student teams – and not just those whose experiments moved on to flight – could have their own conference, with students conducting oral and poster presentations on their experiment designs. The idea is to give the students participating in SSEP the ability to be immersed in the experience of a real science conference (see #7 on the Community Program page.) And the prospect of the SSEP National Conference taking place in the most visited museum on the planet, and in their new Moving Beyond Earth gallery with the gallery open to the public, so the public can view the conference, is pretty amazing. If you haven’t yet, check out the In Our Own Words page at the SSEP Community Network Hubsite. It provides powerful reflections on the impact of SSEP. We can definitely use more quotes from your community leadership, teachers, students, parents, and funders. Currently we only have quotes representing 4 communities. To send a quote for inclusion, use the Contact page. The SSEP In the News page is now up-to-date with links to all articles that have been provided by the SSEP Community Network. Communities are encouraged to provide links on an ongoing basis to NCESSE for inclusion. As we move into the SSEP launch phase for STS-134, NOW is a good time to get your Community Blogs operational. If what is stopping you are the multiple resource pages that provide background on your community and SSEP program, we have the ability to remove pages and simplify your Blog navigation. Contact us if you want to simply your navigation. 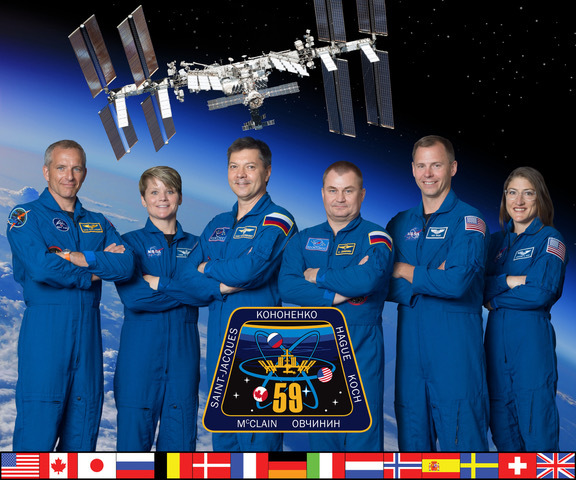 The SSEP on-orbit research opportunity is enabled through NanoRacks LLC, which is working in partnership with NASA under a Space Act Agreement as part of the utilization of the International Space Station as a National Laboratory. Subscribe to receive email updates of breaking news from the SSEP National Blog and the SSEP National Program Director. The Student Spaceflight Experiments Program (SSEP) is a program of the National Center for Earth and Space Science Education (NCESSE) in the U.S., and the Arthur C. Clarke Institute for Space Education internationally. It is enabled through a strategic partnership with DreamUp PBC and NanoRacks LLC, which are working with NASA under a Space Act Agreement as part of the utilization of the International Space Station as a National Laboratory. SSEP is the first pre-college STEM education program that is both a U.S. national initiative and implemented as an on-orbit commercial space venture.